Virtual humans emerged as a topic of research in HCI and they have been used for various purposes. 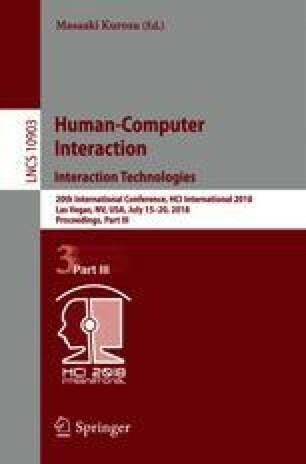 This paper explores the behavior of chess players in a virtual chess environment to gain more understanding about chess personalities. In particular, the focus of this research is investigating attack and defense strategies used by virtual chess grandmasters against different virtual class-B personalities who vary in their strength in the different stages of a game. These attack and defense strategies have attracted much attention in the chess community and are considered among the main aspects to chess players. They occur in different phases of the game: opening, middle game and endgame. The researcher examines virtual chess players to understand the psychology of competition between two grandmasters (attacker, defender) and three class-B chess players with different personalities: (a) strong at openings; (b) weak at openings, but strong at endgames and (c) balanced player. The virtual humans in this research represent personalities of real players. The empirical players’ results showed that the personalities could influence the error and the number of moves of the game for both grandmasters and class-B players. Such findings can be used in designing virtual chess players.